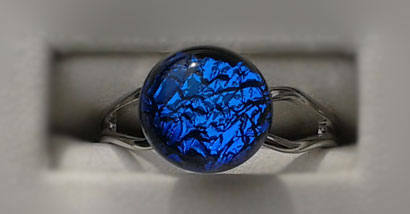 Small blue ring, made from bright cobalt blue dichroic fused glass. 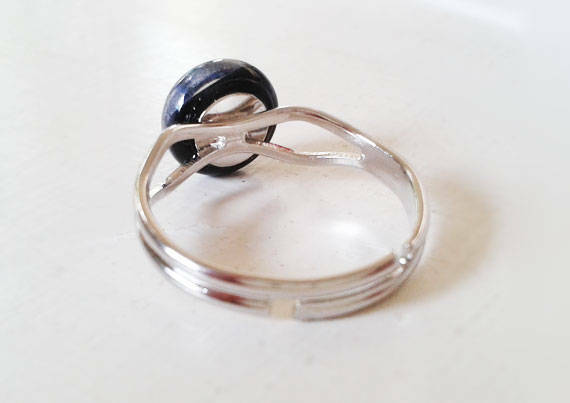 This is a delicate little ring, different from most of the large, heavy, glass rings out there. 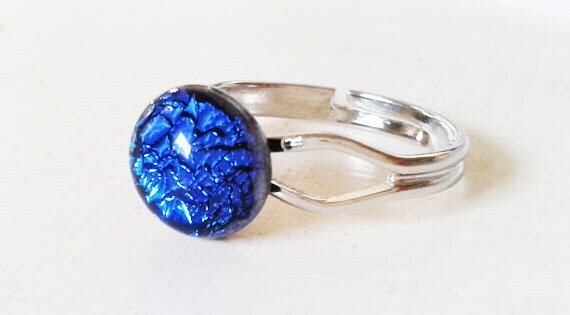 The cabochon is only 9mm across and is made from bright cobalt blue dichroic glass with a crinkled, shattered sort of texture. The band is fairly lightweight silver plate and is expandable.